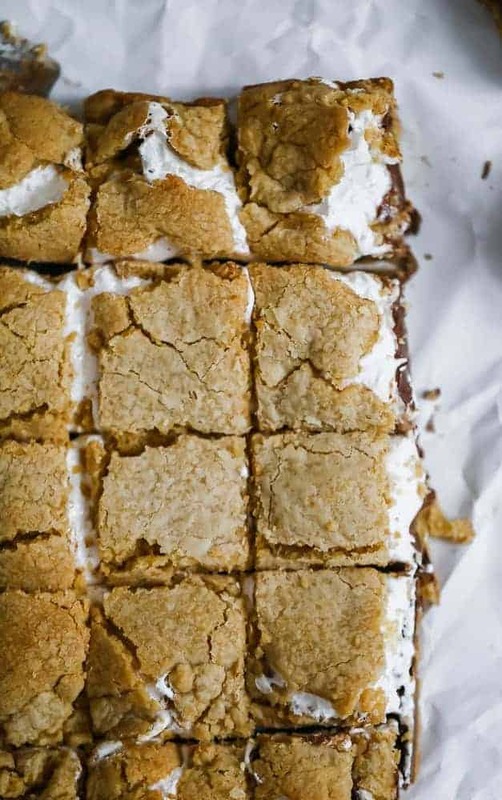 Watch out for these super insane OMG S’mores Bars comin’ at ya! 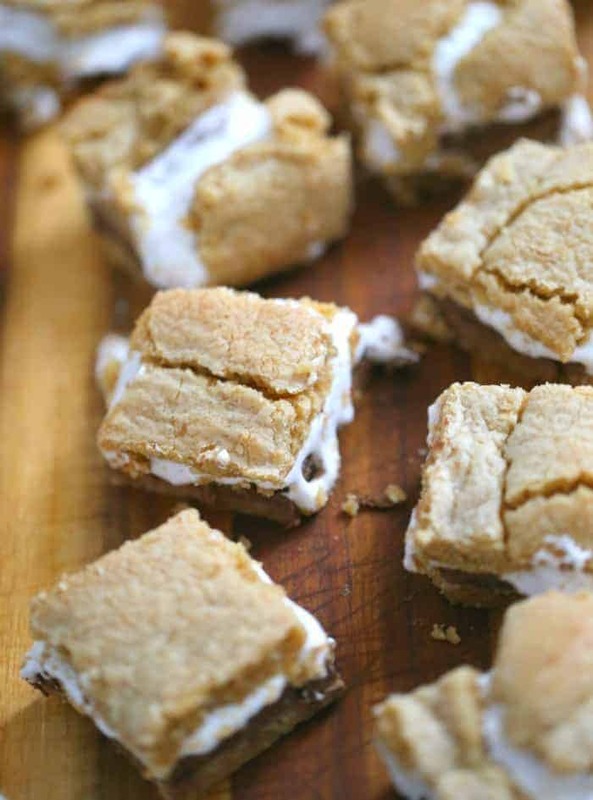 These babies are so absurdly tempting, you won’t be able to resist their compelling charming s’mores effect. No clue why s’mores have that effect on people….hmmm? 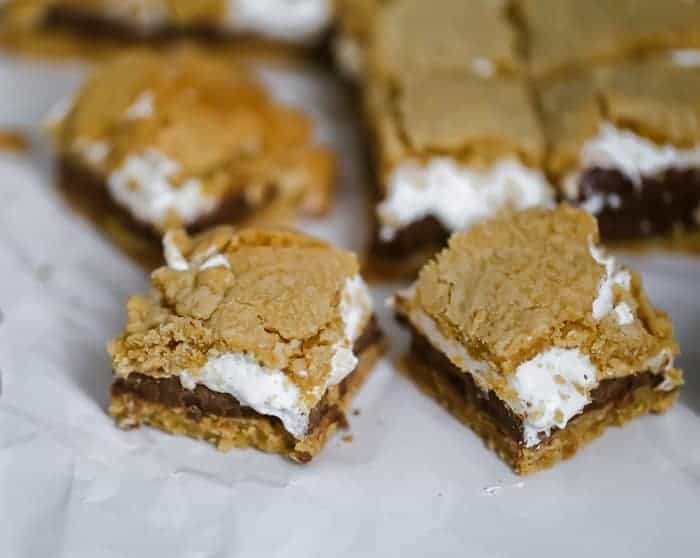 Could it be the layers of luscious graham cracker cookie dough, billowy marshmallow fluff and rich milk chocolate bar are calling your name? Wooing you in? Damn you S’mores Bars! I can’t quit you! These bars are a twist on an old classic of s’mores, but there’s no campfire involved and you don’t use marshmallows, whereas these bars use marshmallow fluff instead. If you use actual marshmallows, let me know how that works out. I’ve only ever tried it with marshmallow fluff. One of my best friends (I won’t mention their name, but they know who they are) complains about some of my over the top desserts when I load them with heaping loads of peanut butter cups, M&M’s candies, chocolate chips, candies, marshmallow fluff, etc. I get it! I do! 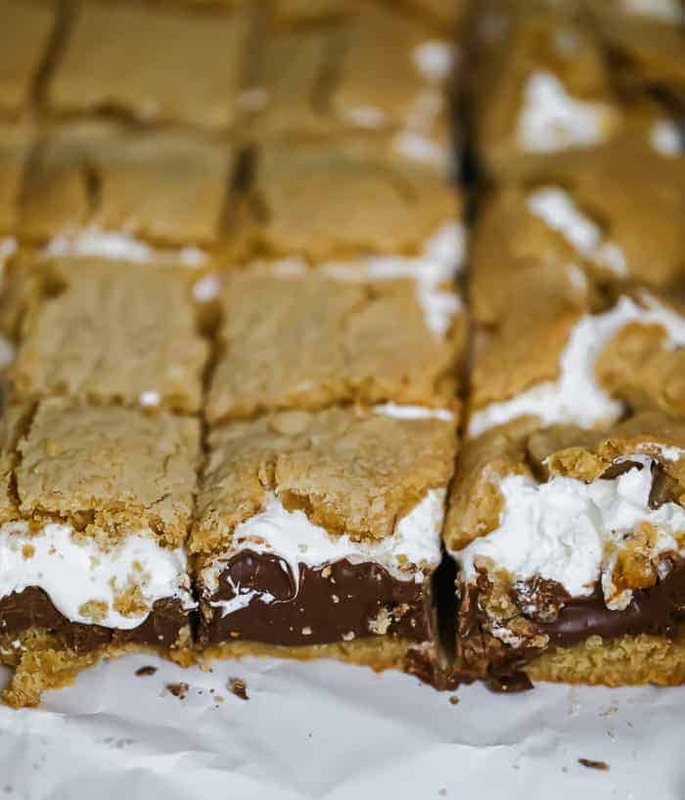 But sometimes it’s just essential for the rest of us to go go overboard and fantasize about and even greedily devour these OMG S’mores Bars like no one’s watching. We can eat healthy tomorrow, right? Right?? 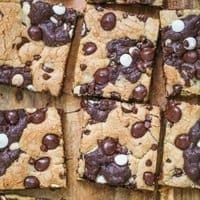 Maybe even these fudgy Reese’s Peanut Butter Cup Explosion Brownies, these M&M Easter Egg Marshmallow Fudge Brownies, these Sheet Pan Confetti Cadbury Chocolate Easter Egg Cookie Bars and Salted Caramel Pretzel & Peanut Dark Chocolate Brownies (For the Win!). Change-ups? 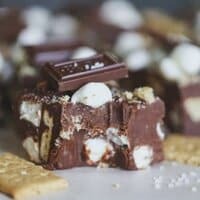 I used 3 – Giant Sized Hershey Milk Chocolate Bars , but you could use also try Symphony Bars (that’s how I was introduced to these), Hershey’s Giant Cookies ‘N Creme Bars, Peanut Butter Cups or Nestle Crunch Bars or anything else you want to fill your candy bar layer with. These are better served and stored at room temperature. By doing this, it keeps the marshmallow in tact but it also keeps it gooey. 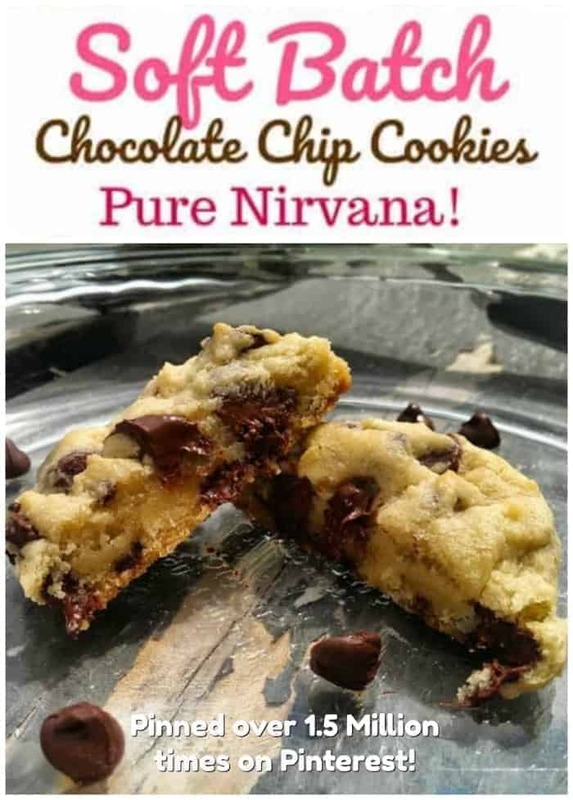 The chocolate does not harden and the cookie stays soft. 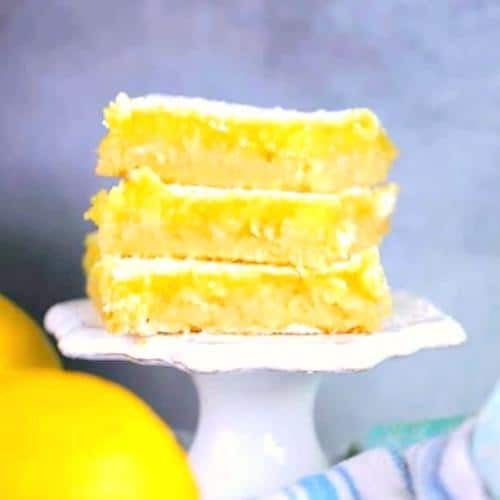 Use parchment paper to lift them completely out of the pan to cut them after they have cooled with a stainless steel spatula or a very sharp knife. They taste great the next day and the next day after that…after that I don’t know. I was held hostage with these until the kids finally had a chance to come over and take them away. TGoodness! You get 28 bars out of a 9 x13 pan, which is a decent slice size and these are wonderful for parties and getting smiles. 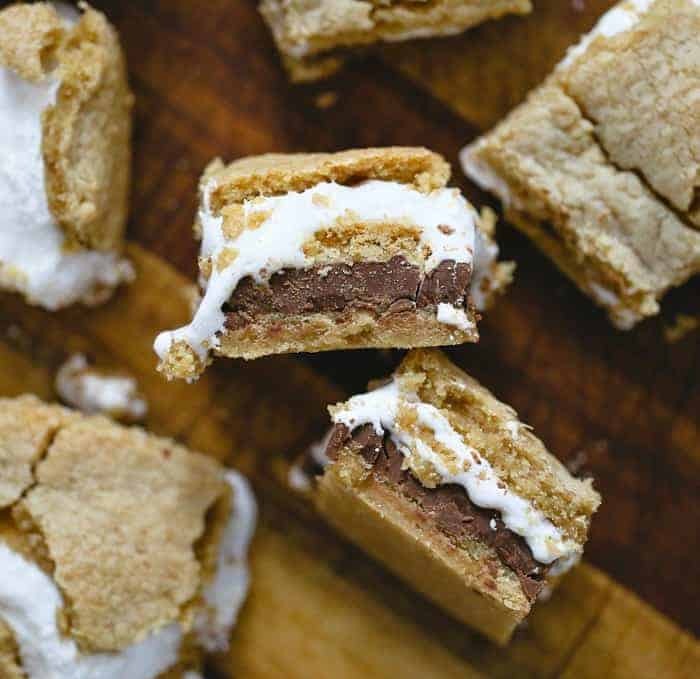 These are so much fun to eat and it’s a great sweet treat that everyone will agree on as a new favorite because of that heavenly haling trio of graham crackers, marshmallow and chocolate. 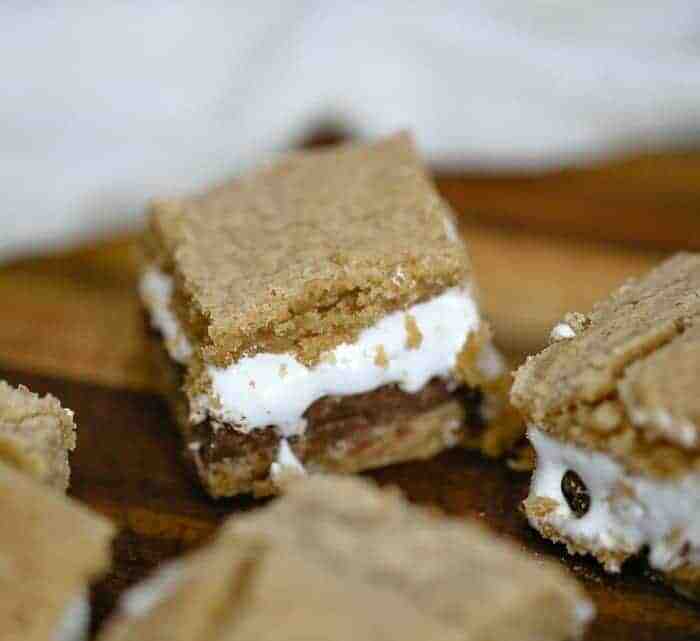 Perfect for picnics, 4th of July, parties and s'mores addicts. 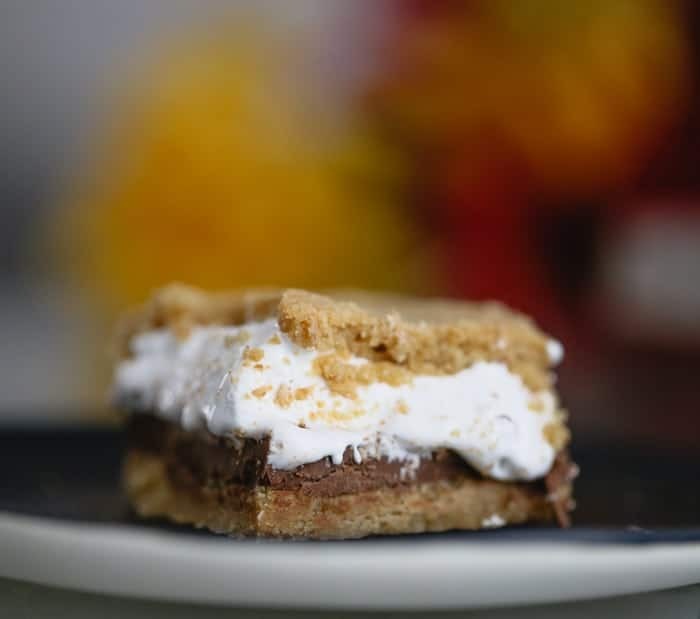 Layers of luscious graham cracker cookie dough, billowy marshmallow fluff and rich milk chocolate bar! Wooing you in? OMG! Damn you S'mores Bars! I can't quit you! Lightly grease or spray with cooking spray a 9-inch x 13-inch glass baking pan and line it with parchment paper, so the paper hangs over the sides a little. Set pan aside. 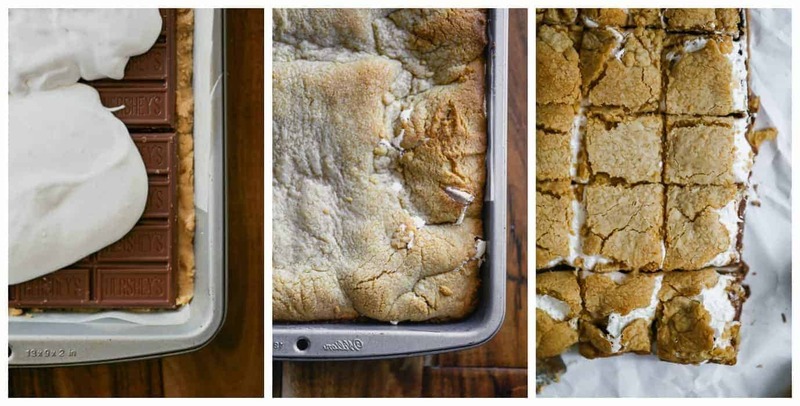 In a separate bowl, whisk together the graham cracker crumbs, flour, baking powder, and salt and set aside. Using a mixer, in a large bowl, mix together the softened butter, white sugar, and brown sugar for 1 1/2 to 2 minutes. Add in the eggs and vanilla and continue mixing until well incorporated and smooth. Add in the dry mixture into the butter / sugar mixture. 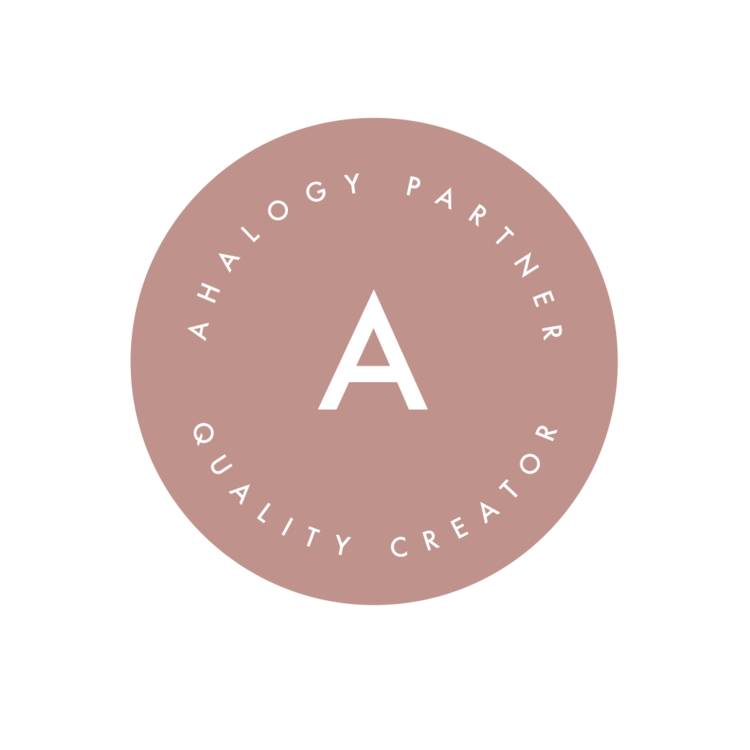 Beat to incorporate, just until all the ingredients come together. Gather the dough into a ball and divide dough into 2 balls. Take one of the balls and spread out into the prepared pan by smooshing it down so that it covers the bottom of the pan completely in an even layer. 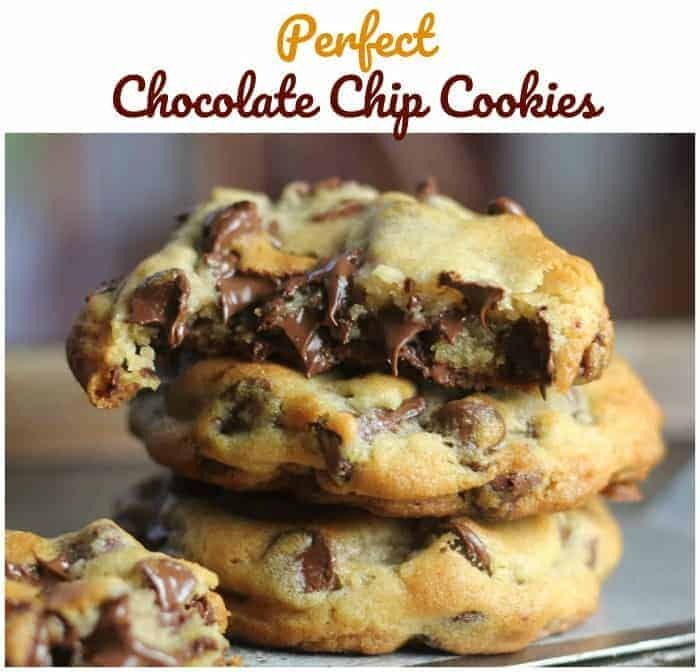 Cover the dough with a single layer of the chocolate bars. 3 fits nicely. Next, add the marshmallow fluff to the top of the chocolate bars and spread out to sides of pan. Lightly flour a board or counter top and smoosh or roll with a rolling pin, the other half of the s'mores cookie dough and make it/roll it the size of the your pan. I do it by placing the pan on top to get an idea about the size to get an idea. Slice the dough into strips and lay each piece on top of the fluff until you've covered it all as good as you can. Try to cover up all the marshmallow as good as you can, but it's ok to have some marshmallow poking out. 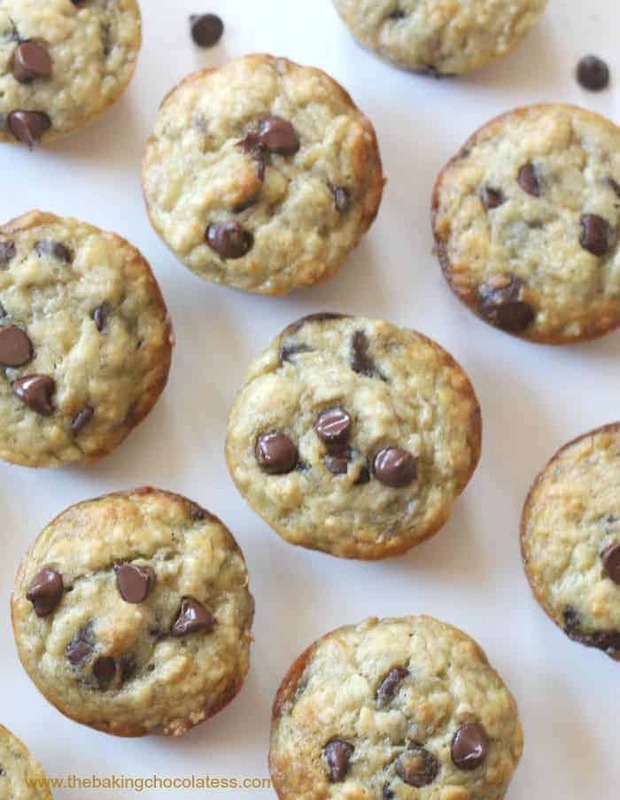 Place pan into your preheated oven and bake for about 30-35 minutes, until the top is golden brown. After baked, transfer to cool completely on a rack. When cool, slice and serve. 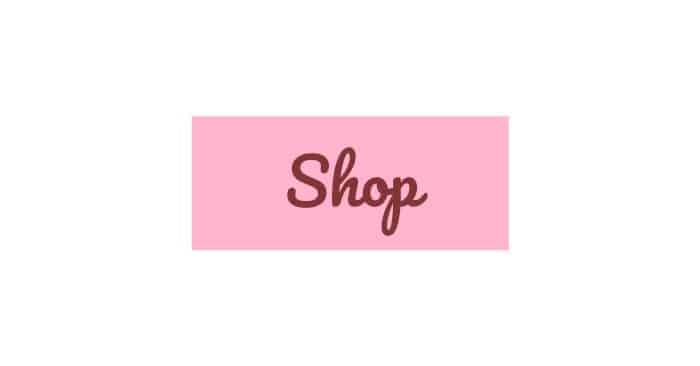 Mmmmm….yeah. So I would eat the whole pan of these hehehehe. And I would never complain about any of your desserts….I would gladly eat any of your creations. Bring on all the heaps of peanut butter and candy etc! 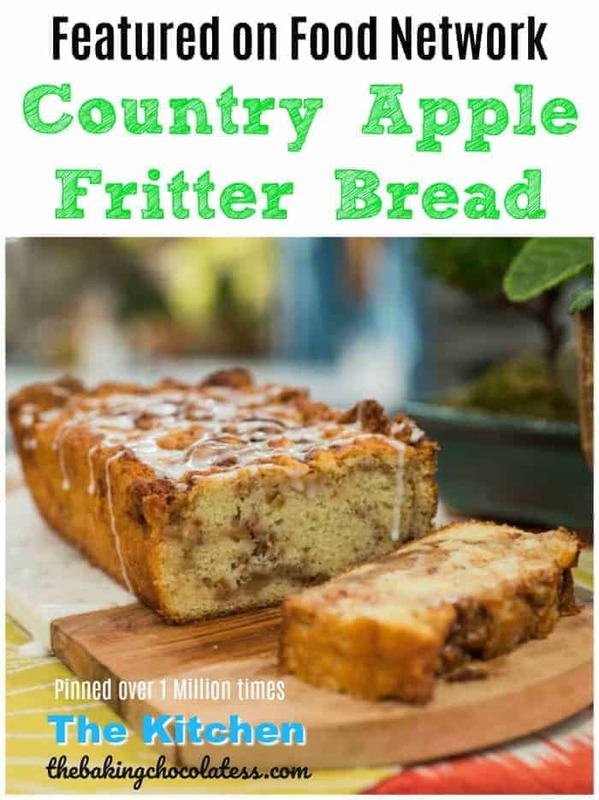 Totally PINNED this before I even got to the recipe ahahaha. I love every single thing you make, but I think these might be my very favorite! 😀 I seriously wish I could reach in and grab the entire batch for myself! 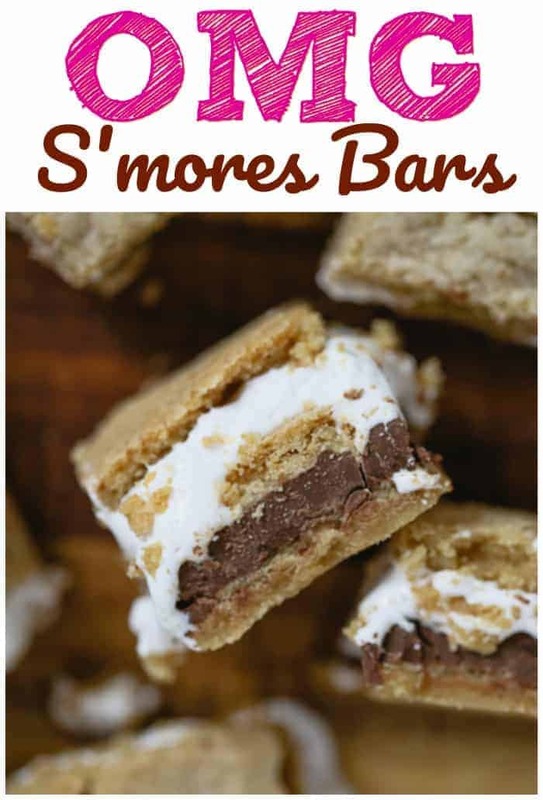 And love, love that these can be made a day ahead and no campfire needed– you win best S’mores creation!! 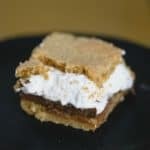 This recipe is perfect, I was just thinking about making S’mores, and these are an amazing upgrade! These wouldn’t;t last more than a few minutes in my house. So so tempting! They definitely do not last. Ha! Thanks so much Laura!